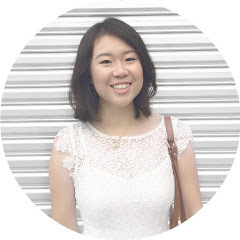 Beautee Beauty | Malaysian Beauty Blog: Korean Makeup & Skincare Mini Haul & Experience! Korean Makeup & Skincare Mini Haul & Experience! Recently my obsession with Korean makeup and skincare products has grown tenfold. I have been trying very hard not to purchase skincare products (at the very least) for now because I had already set a goal for myself to use up everything I own, whether it be full size or the samples I own. However, my restraint can only go so far and I caved in and purchased a few items. I purchased most of these goodies from ebay sellers and one from an online shop which also sells the same things on ebay, and I thought I'd just share my experience with purchasing these goods, the delivery etc. I first heard of this product when I was watching a Korean haul video on Youtube, and after doing some research, it sounded really promising that I decided I had to try it. However, at a whopping price of at least £30 (approx. RM150) for 50ml, I could not bring myself to splurge on it, just in case it did not work out for me. I found this seller online selling 30 x 1ml sample sachets of this for about £6- that's 30ml for less than one-fifth of the price for the full size! I expected dispatch to be faster (it took almost a week to be dispatched) but it took a week to be delivered so that was fast (it was free shipping but without a tracking number). This came packed in little clear plastic sheets like in the picture above, and was contained in a pink plastic envelope sealed tight. Two sample sachets were also included which (although I tend to expect at least a sample or two- naughty me) I thought was very sweet of them. Overall, reliable good service and quick delivery. 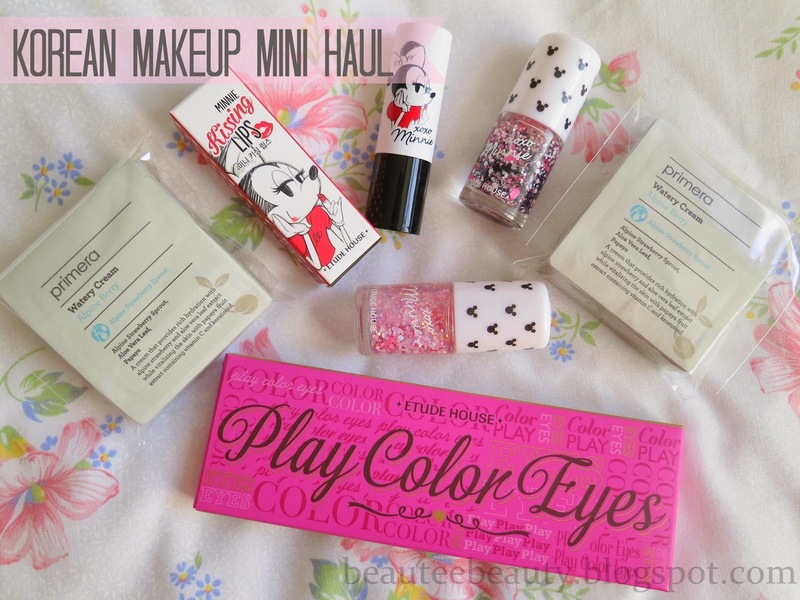 The Etude House x Minnie Mouse collection was of no interest to me when it was first released. However, the more I looked at them, the more I decided they were cute and unique, so I purchased two nail polishes. Both polishes were purchased from f2plus1 which is a rather well-known ebay seller when it comes to Korean cosmetics and skincare products. f2plus1 is also known as BeautynetKorea on ebay, plus they have an online shop which goes by the name of BeautynetKorea. Dispatch for both polishes were quick, and delivery was also rather fast- one took 7 days to arrive, the other took 10 days. Shipping for both was free and without a tracking number. The nail polishes separately in sturdy cardboard boxes and was carefully wrapped with bubble wrap to prevent breakage. Each order also came with two samples- I like! Overall, fast dispatch and delivery and good service. I am guilty of having more than enough eyeshadows and lipsticks to last me for the next five years or so but these two were gorgeous I just could not resist. I decided to purchase these two from BeautynetKorea's online shop because at that time there was a 10% discount offer on Etude House and a few other brands. Had I known about the 10% discount offer earlier I would have purchased the Minnie Mouse nail polishes from there too, oh well. For some reason, these two products had to be ordered separately because I just could not add them into my basket together. However, I wanted them to be sent in one parcel for ease of delivery and collection from the post office if it gets sent there so I wrote a note at the end of the second order requesting that both products be sent in one parcel. I am pleased that they did come in one parcel. Both products were safely wrapped in bubble wrap and placed in a sturdy cardboard box. Dispatch was quick, and delivery time was decent (10 days). I only received two samples for this parcel, which left me feeling a tiny bit disappointed because I am pretty sure that if they were placed into separate boxes they would have come with two samples each. But I can't complain, because they did do what I requested and the products arrived safely, so overall, I am happy. The 10% discount on some brands are still going on till 10.2.2014, so I'll include the link HERE in case you're interested. I just thought I'd also show you the Minnie Mouse polishes because they are absolutely gorgeous. I am so glad I decided to purchase them, I have nothing like them in my nail polish collection! Here's also a picture of the samples I received! I am quite happy with my purchases and can't wait to try them out! those polishes are so cute! Lots of great products. Yup, they are so cute! The polishes are so cute!!! I LOVE the eye shadow palette! It is very pretty! Thanks for the follow! I wanted to get their Romantic Eyes palette from last year but sadly I couldn't. This one looks nice, but I'm afraid of the glitter shades. The play color eyes looks so amazing! I adore Korean skincare products! !